This is not a city you can skim over. Today's tour began at 8am and got us back to the hotel at 5pm, we walked about 8 kilometres, and we saw six places, all in one compact area of the Old Town, Sultanahmet. That leaves masses of museums, galleries, mosques, gardens, palaces and most of the rest of the city untouched - but that's what happens when a place is thousands of years old and has been the centre of civilisation for a good proportion of that time. 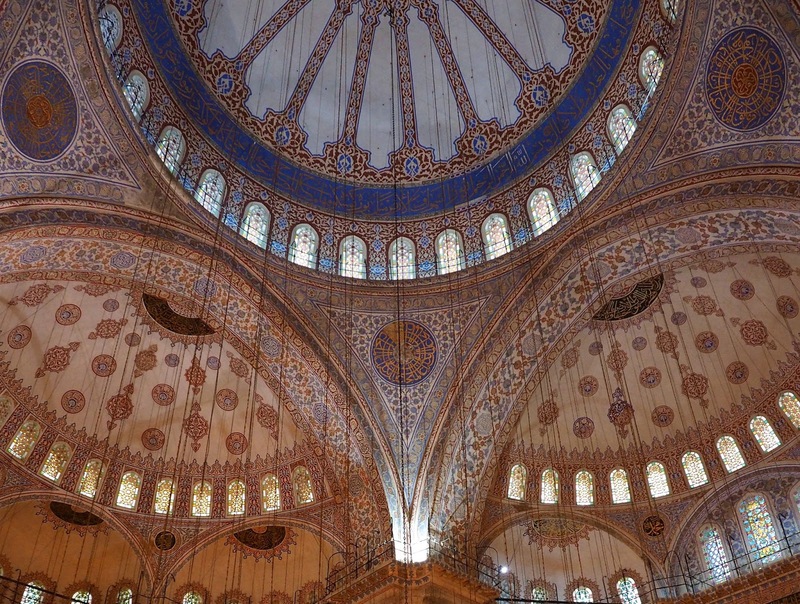 So first stop was the Blue Mosque, which is tastefully blue inside, as well as gold and every other colour in a riot of patterns and calligraphy that all works wonderfully probably because there's so much space inside. Certainly the main area under the soaring dome was empty of anyone bar one solitary worshipper and another busily vacuuming the acres of carpet. All of us tourists were gathered around the outside, cricking our necks and listening to our guides on those nifty radio headsets that make life so easy for tour parties these days. Oh, and petting the cat that looked right at home there. 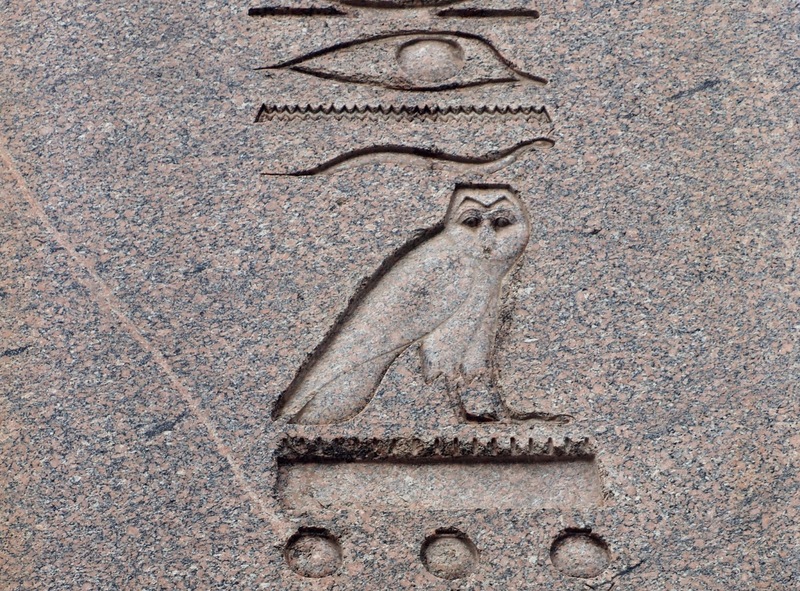 I thought there was a distinct owl presence on the ceiling; and there was another hieroglyphic one outside on an obelisk in the Hippodrome, looking sharp and new in the granite but actually 1500 years old. Here dogs dominated - they're neutered and vaccinated against rabies by the authorities, and then let go again, to be fed by kind people. They did seem mostly ok. The Aya Sofya, built as a church, converted to a mosque and now a museum, must be the only place where you can see a mosaic of the Virgin Mary and Baby Jesus flanked by the names of Allah and Mohammed. It also has cats. Don't bother with the 'world-famous Pudding Shop' and not only because it's scandalously short on puddings: it was Hippie Central back in the sixties but now it's on a par with a school cafeteria. The Cistern, in contrast, was much prettier than it sounded, the 36 stone columns artfully lit and reflecting in the water where fat carp swim. It was a good day, rain and thunder notwithstanding. Tomorrow though things get serious. Gallipoli.